Fueled by science. Powered by people. Our mission. Your program’s success. We’re committed to changing the lives of youth. We develop and deliver products and services that make mentors better mentors—and we take mentoring programs to their highest level. Our multidisciplinary team of scientists, educators, and mentoring practitioners combine science, real world perspectives, and field-tested studies. The result? First-of-their-kind products and services that are both effective and practical. Consider us your mentoring partner—your single source for training, evaluation tools, and customized services. We support and enhance youth mentoring programs across town and around the world. Some of our clients include Big Brothers Big Sisters of America, the National Urban League, Mentoring USA, and the New York City Mentoring for Achievement initiative. Mentoring Central is a division of innovation Research & Training (iRT). Our funding comes from grants and contracts that fuel our research and from the sale of products and services that result from that research. We put science first. It is our goal to make our products and services accessible, attractive, and affordable, so that mentoring programs can benefit from what we learn. As a contract research organization, we also receive contracts from organizations to help them evaluate their programs, and to provide them with training and technical assistance services. IRT, in collaboration with the Center for Evidence-Based Mentoring, is conducting the Mentoring for Achievement: Mentoring Program Quality Assessment project. This project includes a certification training process for program managers working in mentoring programs funded by the New York City Young Men’s Initiative (YMI). At the project’s completion, the YMI mentoring program managers will be trained and certified as EQUIP external reviewers with the skills to assess, monitor, and support the mentoring program quality improvement process with YMI programs. In addition, mentoring programs funded by the city of New York have engaged in a mentoring program quality assessment process to evaluate the alignment of their program practices with the Third Edition of the EEPM and develop quality improvement plans. The Mentoring USA Evaluation project is funded by Mentoring USA Inc. Through the project, iRT is working with Mentoring USA to develop a set of measures for their program to use to evaluate the effectiveness of Mentoring USA’s mentoring program on youth outcomes. In addition, iRT is assisting Mentoring USA in conducting the evaluation, analyzing the evaluation data, and writing a final report based upon the findings. The National Urban League (NUL) has successfully developed and deployed an innovative college access program, Project Ready, which provides support for middle and high school students. Specifically, the curriculum-based program focuses on life skills, leadership, and social, global, and cultural awareness. The NUL has expanded this program model to include a mentoring component, called Project Ready: Mentor. In support of the mentoring component, iRT will develop the Project Ready: Mentor Program Guide. The Program Guide for Project Ready: Mentor will focus on helping affiliates design and implement a mentoring program for urban children and adolescents (e.g., effective mentor and mentee recruitment strategies; monitoring mentoring relationships). In addition, iRT is making available three Mentoring Central mentor training courses to the thirteen National Urban League Project Ready: Mentor affiliates across the country. IRT developed a customized version of its Mentoring Central web-based mentor training program for use by Big Brothers Big Sisters of America (BBBS). The program will be launched in all BBBS agencies that have access to the AIM system. Up to 100,000 prematch mentors per year will be eligible to complete the web-based training course. As part of the project, iRT also developed an in-person instructor-led version of its Mentoring Central mentor training program. Our Partners for creating brighter futures. Together with our funders and partners, we strive to elevate mentor relationships. Networking with mentoring organizations, we help strengthen their programs and brighten young people’s futures—all across the country. Our team consists of world-renowned scientists, experienced practitioners, and creative professionals. All are leaders in their fields. Our collaborative approach delivers innovative, evidence-based products that are designed for the real world. Janis founded iRT more than 15 years ago out of a passion for helping prevent youth from engaging in unhealthy and risky behaviors. Dr. Janis Kupersmidt, President and Senior Research Scientist at iRT, is a licensed clinical psychologist and a former tenured professor at the University of North Carolina at Chapel Hill. She has published more than 70 peer-reviewed chapters and scientific articles on topics related to mentoring, prevention science, the social and emotional development of children and adolescents, peer relations, delinquency, academic achievement, and aggression. She is currently the Principal Investigator (PI) on a grant to develop and evaluate the efficacy of a web-based mentor training program. She is also the PI on the Mentee Risk Status and Mentor Training project. The project focuses on factors that affect mentoring outcomes for three populations of youth, namely, children in foster care, children of prisoners, and court-involved youth. The project is designed to develop a youth relationship risk tool that can be used by mentoring programs and create research-based, best practice recommendations about the most effective methods of mentor training and support, particularly for those serving at-risk populations. She is also the Co-PI on a grant to create evidence-based web and mobile pre-match training for mentees and their caregivers. Dr. Kupersmidt is a co-author of the Elements of Effective Practice for Mentoring (EEPM). The EEPM includes the only set of research-based standards and benchmarks for implementing effective youth mentoring programs in the field of mentoring. Dr. Kupersmidt received her doctorate in Psychology from Duke University. Jean’s research is focused on two main areas: adolescents’ mentoring relationships and young adults’ responses to trauma and natural disaster. 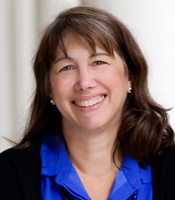 Dr. Jean Rhodes is the MENTOR/National Mentoring Partnership Professor of Psychology and the Research Director for the Center for Evidence-based Mentoring at the University of Massachusetts Boston. She has published more than 100 chapters, books and peer-reviewed articles on topics related to youth development and mentoring. Her interests include mentoring relationships, risk and protective factors in adolescent development, emerging adulthood, natural disasters, trauma and resilience, preventive interventions, and the bridging of research, practice, and policy. Her research examines the development of adolescents and young adults with special attention to the role of non-parent adults and the influence of natural disaster. Dr. Rhodes is a Fellow in the American Psychological Association and the Society for Research and Community Action, and a Distinguished Fellow of the William T. Grant Foundation. Dr. Rhodes is Chair of the Research and Policy Council of the National Mentoring Partnership and sits on the Board of Directors of the National Mentoring Partnership. She is the author of Stand by me: The risks and rewards of mentoring today’s youth (Harvard University Press). Dr. Rhodes completed her Ph.D. in clinical psychology at DePaul University. Rebecca’s personal interest in youth mentoring has been expanded with her nine-year involvement as a Big Sister in the Big Brothers Big Sisters program. 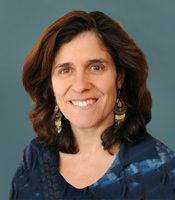 Dr. Rebecca Stelter is a Developmental Psychologist and Research Scientist at iRT. 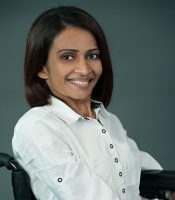 Currently, she is the Co-Principal Investigator on a project to develop training for mentees and their parents or caregivers using a personal computer or mobile device, and the Project Director to develop and evaluate the efficacy of a web-based mentor training program. She is published in the areas of children’s social and emotional development, and the social information processing skills of aggressive children. Dr. Stelter is a co-author of the Elements of Effective Practice for Mentoring (EEPM). The EEPM includes the only set of research-based standards and benchmarks for implementing effective youth mentoring programs in the field of mentoring. 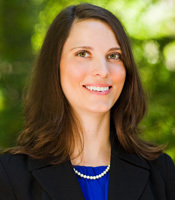 Dr. Stelter received her doctorate in Developmental Psychology from North Carolina State University. She has been a Big Sister to her Little for more than nine years. Alison is a Developmental Psychologist and Research Scientist at iRT. 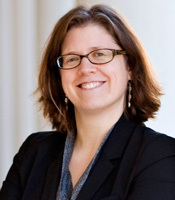 Dr. Alison Parker is a Developmental Psychologist and Research Scientist at iRT. She has served as Principal Investigator, Co-Investigator, and Project Director on many projects related to youth mentoring and positive youth development. 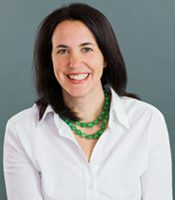 In addition, Dr. Parker has been the Principal Investigator on a project to develop and evaluate a mindfulness education program for elementary school students funded by National Institute on Drug Abuse (NIDA) and a project for middle school students funded by Institute of Education Sciences (IES). Dr. Parker is currently Principal Investigator on a contract from the National Institute on Alcohol Abuse and Alcoholism (NIAAA) to develop and evaluate an online mindfulness-based substance abuse prevention program for adolescents with Fetal Alcohol Spectrum Disorder (FASD). Dr. Parker received her doctorate in Developmental Psychology from North Carolina State University. 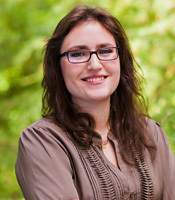 Katie is a developmental psychologist who studies peer relations and social development. 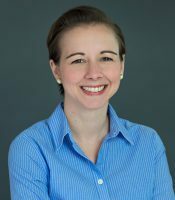 Dr. Kathryn Stump is a developmental psychologist and the Project Director for a study focused on identifying effective mentoring program practices for serving special population youth. She serves as the statistician across several mentoring evaluations, including the randomized control trial evaluation of Mentoring Central and a project to evaluate mentoring program enhancements for programs serving children of incarcerated parents. 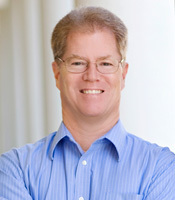 Dr. Stump has expertise in the areas of social development, peer relations, and quantitative methodology and analysis. Dr. Stump received her Doctorate in Psychology from University of Kansas. Karen has ten years of experience working with families and youth experiencing trauma, poverty, and/or mental health concerns. In her personal time, Karen enjoys cooking, traveling, and making theater. Sarah has a Master’s degree in education and formerly worked as an afterschool teacher in a public elementary school. Sarah Rabiner coordinates research and training projects related to improving the quality of youth mentoring programs. She has supported projects including mentoring program evaluation and staff, mentor, mentee, and caregiver training. She supports other projects related to substance abuse prevention, social-emotional learning, reducing risky behavior, and engaging families in prevention. She has six years of experience working with youth with complex and multiple psychosocial stressors in public and private settings. Sarah holds a M.Ed. from Lesley University, and a bachelor’s degree in sociology from Duke University. She is completing her final-year in the M.S.W. program at the University of North Carolina at Chapel Hill, and will begin doctoral studies in social work at UNC this fall. When she is not working or studying, Sarah enjoys reading, hosting dinner parties, and traveling. Madison has a passion for assisting people in the community, specifically at-risk youth. Madison Morrow works on multiple projects in the area of youth mentoring. The majority of her time is spent assisting in efforts to evaluate a new set of mentoring program practice enhancements designed to serve the needs of youth whose parents are incarcerated. During her undergraduate work at North Carolina State University, Madison worked with the Teen Health Lab and Forensic Psychology of the Public Interest Lab as a research assistant. She received her Bachelor of Arts in both Criminology and Psychology. In her free time, Madison enjoys reading and spending time at the beach. Richard is an engineer at heart and always enjoys learning and applying new technologies. Richard Van Horn, as part of the software development team, has worked closely with researchers to implement and maintain various projects, by integrating course content into web applications, and creating functionality as needed by projects. He is experienced in web application design, development, and testing, and he has contributed to multiple mentoring related projects at iRT. He has a M.S. in Information Technology with an emphasis in software development and management from Carnegie Mellon Silicon Valley. He has a M.S. in Information Technology with an emphasis in software development and management from Carnegie Mellon Silicon Valley. Joel has a passion for problem-solving as well as the construction of small and large applications. Joel Bloch works as part of the software development team to help bring iRT’s up-and-coming projects to life as well as maintain existing software and operations. He received his Bachelors of Science in Computer Science with a focus in Digital Arts from the University of North Carolina at Wilmington. 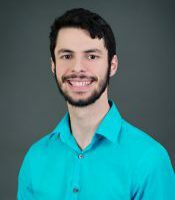 Joel has an eclectic breadth of prior experience ranging from internal support at Lenovo to machine learning research at North Carolina Agricultural and Technical State University. Kim’s diverse skills include graphic design, e-learning design and development, animation, video production, as well as cartoon and technical illustration. Kim Gosnell’s professional experience spans more than 10 years in creative fields. At iRT, she has led the graphic design, multimedia production and development of multiple online training courses and print-based projects, creating components intended for use in various youth mentoring programs that focus on successful mentoring relationships and outcomes. These projects include the design, development and implementation of many e-learning modules designed for both self-paced and instructor-led training programs, as well as print-based materials such as teacher manuals, student workbooks, logos, brochures, and marketing materials. Kim continues to work on updates for Mentoring Central and the web-based training courses created for it, as well as derivatives of these lessons which are adapted to specific mentoring programs and/or environments (i.e. ; school-based mentoring, urban programs). Ashley's passion for great instructional design comes from her experience working with students as an elementary school teacher. 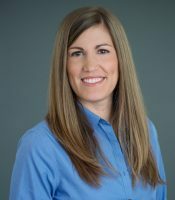 Ashley Webb is responsible for the design and development of instructional and educational materials including curriculum development, e-learning course programming, and instructor-led training development. 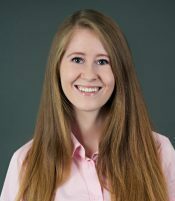 Ashley received her Masters of Science in Instructional Technology from the University of North Carolina at Wilmington and a Bachelor’s Degree in Elementary Education from the University of North Carolina at Charlotte. Prior to joining iRT, she served as an instructional designer for the North Carolina State Industrial Extension Service creating online learning modules and informational materials. As a former teacher, Ashley has also specialized in educating children, families, and colleagues through classroom instruction, family outreach programs, and professional development. In her personal time, Ashley enjoys playing team sports and listening to live music. 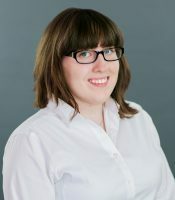 Kelsey is passionate about creating engaging educational interactions, with a particular focus in the use of game design and gamification techniques. Swati is responsible for designing promotional materials for both print and web-based programs. Swati Bhatt is passionate about creating visual concepts to communicate her ideas that inspire and captivate users. She uses various print and layout techniques to find the most effective way to get messages across through her design concepts. She works collaboratively with the art department at iRT to produce promotional materials for both print and web-based programs.